You sit down, research a topic, pour your heart and soul into writing content, distribute it among your favourite social media platforms and then…*crickets… You’ve just created a masterpiece and there’s no one around to read it. 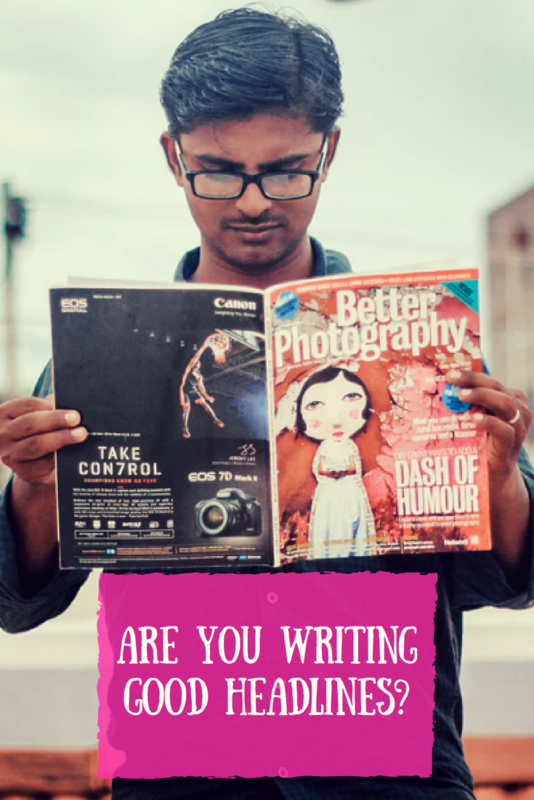 I’ve been there on quite a few occasions and even the most experienced writers have this problem from time to time, however, what I’m about to explain to you in the next few minutes should help you get around this problem, if done correctly. It’s super-helpful if you do some of these tips, but when you use all of them and are really strategic in your marketing, there should be no reason why you shouldn’t get more traffic and more people reading your blog posts. 6.1 So, how do you add more value? Figuring out what your buyer persona is and then creating content specifically for that persona is KEY -once you know who your audience is, it’s a lot easier to craft your writing style, your tone, and content to what would be of interest to them. So, how do you find your buyer persona? There aren’t that many companies that concentrate on their clients when producing content. For that reason, we make it our mission to encourage clients to place them front-and-centre. How else do we do that? Clicking on your profile allows you to access all of your Twitter settings. Whenever we take on a new client, this is the first place we navigate to. Once you have clicked on your profile picture, you need to scroll down and select the “Analytics” tab. This tab will show you everything you need to know about the account from analytics to advertising. 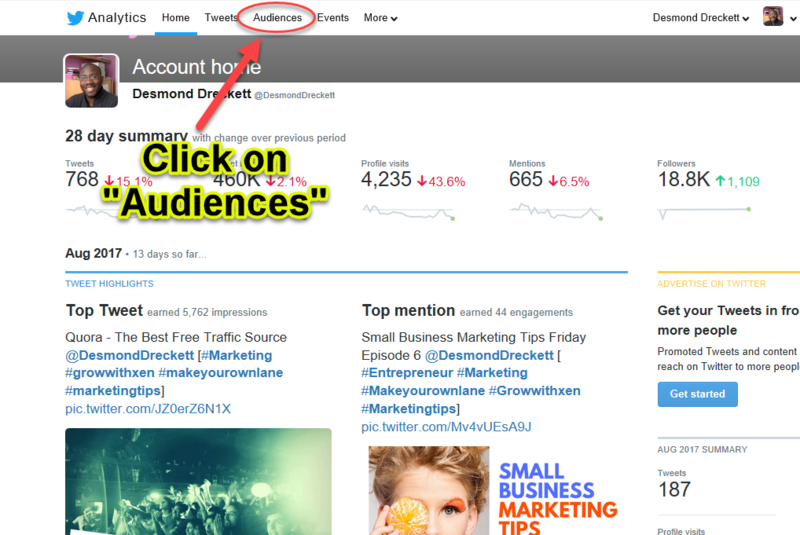 Once on this screen, you need to click on the “Audiences” tab to find out more valuable information about your followers. There are several tabs. However, there are only 3 tabs we’re interested in; the “Overview”, “Demographics” and “Lifestyle”. Top interests of your followers such as tech, marketing, leadership, etc. So, what are the benefits of doing this? If you’re using email marketing in conjunction with content marketing, there’s a greater chance that your reader will return to your website and read your content after receiving an email from you. With all the noise and distractions the internet now provides, there’s never been a more important time to ensure you have existing readers return to read your content. As I have said many times before, you not only want to write really great content that helps the reader, you also need to combine this with an educational video and really great images. 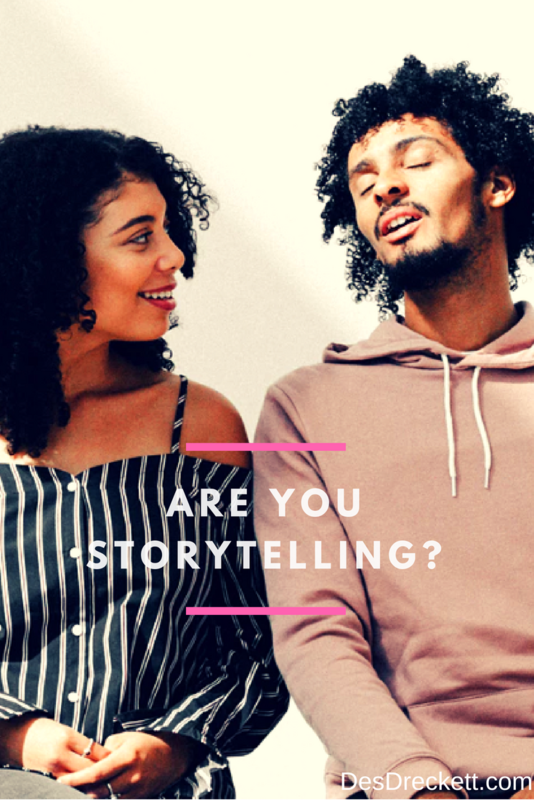 Following on from the last point, once you have created content for your audience, you really need to resonate on that level and the best way of doing that is by storytelling. Storytelling allows you to place a series of images in your readers’ mind which helps them visualise the point you’re trying to get across. This isn’t just some throwaway statement; this is embedded in the biology of our DNA as humans have been telling stories for thousands of years. It’s also a good idea to inject a heavy dose of analogies into your stories too – this way, not only can your reader visualise what you are trying to say, you are also describing it in such a way that everybody can understand. Better still, use real-life examples to get your point across. When you combine all of these strategies, you start to build a real bond and connection with the reader. This is the foundation of getting your blog post read and your reader navigating around your website to try to find more content. Not only is this great for you as the author, it’s also good for SEO because the more pages your reader looks at on your website, the better the metrics are for what we call ‘bounce rate’. By decreasing the bounce rate, you are effectively signalling to a search engine that your web pages are popular and people are finding really good content to consume. Unless you are writing a research paper or serious news story, you really do need to inject a bit of personality into your writing. * Tell a first perspective story – this means using an analogy of a personal story that relates to your content – the idea is to come up with both an entertaining and also educational story at the same time. * Have a really strong point of view on something – when you have a really strong point of view on the topic, you ultimately start to elicit an emotional response from your reader. Now, this might be good or might be bad – either way, it really doesn’t matter. It doesn’t even need to be sentence after sentence, it could be simply using what we call emotionally charged words like fear, anger, sadness, joy, disgust and even surprise. * It’s also a good idea to ask rhetorical questions – when you do this, you actually get the reader thinking and they also momentarily remove themselves from their own reality and place themselves within your question. Note: Don’t place too many of these within your content, though – it can make your content really hard to read as you’re constantly asking your reader to imagine different scenarios. Once you have crafted your masterpiece, that’s just the start of the journey of getting it read. Ideally, you will have it proofread and properly formatted for reading. For example, using short sentences makes content easy to consume on a mobile device. You also need to share your content in as many places as possible. The most obvious way of doing this is by sharing it on social media. If you haven’t done so already, make sure that you have signed up for the vast majority of the relevant social media platforms and start showing your content on there. Ensure there is a link to your blog in all of your bio descriptions. I don’t mean a link back to your homepage either, I mean a link back to the list of blog posts on your website. 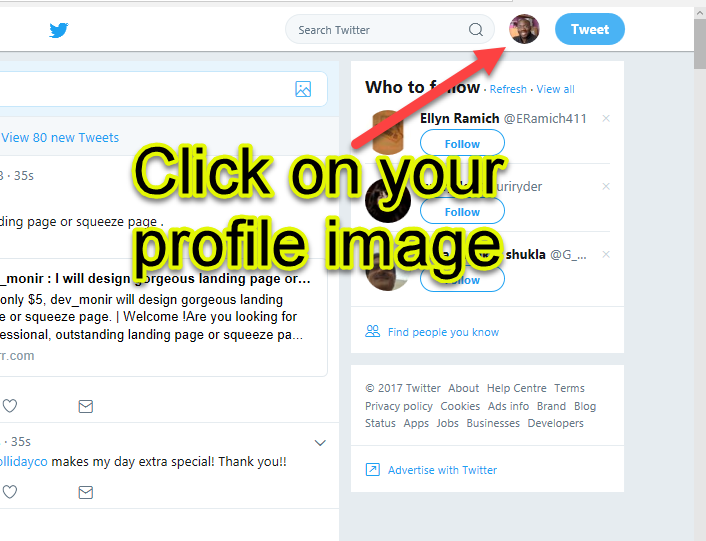 This will give you added exposure if people like the content that you’re posting as they will search for your bio to find more of it. Start building an email list – a lot of people think email marketing is dead but it’s far from it. Even if you have a really small list of 100 people, as long as those 100 people are targeted and specifically opted into one of your lead generation forms, there’s no reason why they won’t return back to your website when you send them an email informing them of a new blog post. In fact, people reading this blog post have most probably come from an email I sent informing them of a new post I have just written. That’s the power of email marketing. Ideally, you want to be sending out a lot more educational content than promotional pieces – that way, your reader won’t mind continually opening your emails because they feel you are providing them with real value. If you are overly promotional you leave yourself open to low click-through rates,I’m afraid. Following on from this, make sure you send these emails at the right time. The best way of doing this is by finding out when your readers are online and when they are consuming your content. 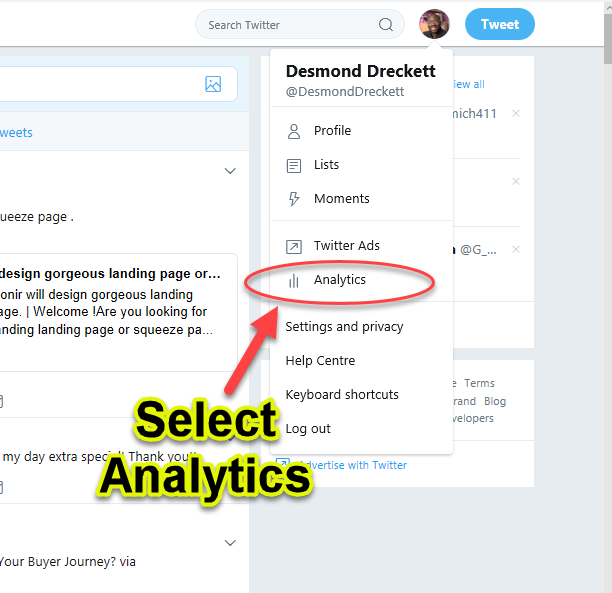 You can do this by looking at your Google Analytics (if you have it installed on the website) or you can have a look at your social media analytics to find out when your followers are most engaged. With that knowledge, you can then work out when the best time to send your emails is – this is called strategic marketing. You also have the ability to resend your email to people who didn’t open the first one. There could be quite a number of reasons why they didn’t open your first email, so by resending it to what we call “un-opens”, it gives you a second bite at the cherry. One marketing strategy that has fallen out of favour but, in my opinion, is still very effective is blog commenting. As long as the blog post is in your niche and has a decent amount of traffic, you should always look to leave a comprehensive and useful comment so other readers can find your content once they click on your link in your name. I think it fell out of favour because it takes quite a bit of work to do and you don’t generally see the results straight away. Unfortunately, it does take time and patience, which is something most people don’t have a lot of these days…! When you’re crafting a piece of content for your reader, the main objective is to entertain and educate them first, before any other motives. If you don’t do this, it means you’re trying to advertise or promote something. Most readers are quite savvy these days and know exactly when someone is trying to advertise something to them. Once they know this, they will navigate to that little “x” and leave your site forever. Just remember; it’s normally all about them and very rarely about you. 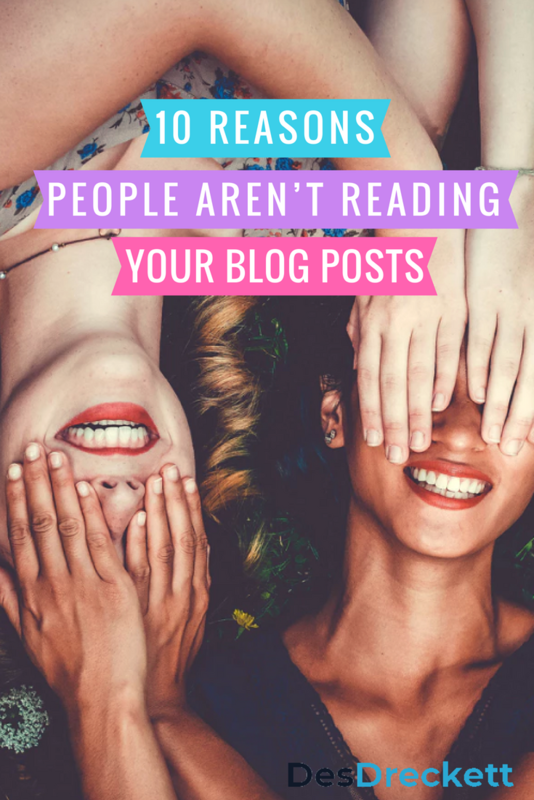 This could be a good reason why people aren’t reading your content. There’s always a ” what’s in this for me” when people are searching online these days. If you don’t factor this in within your writing, people won’t read your content – it really is that simple. What is the one thing people have less of these days and are willing to pay for? TIME! People simply don’t have as much time as they used to. They are working long hours, the commute to work is a lot longer; if they have children, there are a lot more after-school activities to attend and the list goes on. The point I’m trying to make is; unless you are adding immense value to your content, people simply won’t waste their time reading it. This particular problem is only getting worse with each generation that comes along as they are reading and watching content differently to how people did in the past. By the past, I’m only talking two to three years ago (believe it or not). For us content creators, this poses a huge problem and means unless you up your game and make sure your content is crafted around offering immense value then, unfortunately, you’re going to fail. So, how do you add more value? I’ve explained this concept a few times in other articles I have written – what you really need to do is produce something that is 10 times better than the competition. Do a search online on the keyword or sentence that you’re writing about and take a look at the first 5 results in the search engine results. Take a look at how long each search result is, the types of images and how many, whether they have supporting media such as graphs, videos or even SlideShare presentations. Whatever they have, you need to make your content 10 times better. Now, I won’t lie, this is no easy feat and for most, probably impossible for many to do. However, this is going to be what it takes to add more value to your content. Where possible, I always try to link out to content that Google thinks is the best. The Google algorithm and it’s AI is much more sophisticated, intelligent, and have a lot more data than I do so, if there is a particular point that I’m trying to make within my article, I always do a search on Google to find what they think best describes that point and then I link to it in my article. Not only is it good to link out to content like this for SEO purposes, it also ticks that box of adding value to your content by the linking out to great and relevant content in Google’s eyes. In this section, I’m going to use the word “headline” as well as “title”. I think the word “headline” makes it a lot easier to come up with great titles since you’re used to seeing them all over the place such as on the news or on the front page of a newspaper or magazine. If I asked you to come up with a good title, I think you would struggle. But, if I asked you to come up with a good headline, for some reason, this kind of feels better and I suppose it has a bit more emotion attached to it. The type of headline/title you choose can be the difference between one person reading your article or 1000 people – it really is that powerful! So, before you hit that publish button, take the time to make sure that you have a well-crafted title. This extra 10 to 15 minutes is literally make or break, no matter how good your content is or how well it’s written. The world we live in is a lot different to a few years ago. We have always been visual creatures and the platforms people spend the most time on really celebrate that fact. As we spend increasingly more time on social media, our eyes are drawn to videos and nice images. This isn’t something I’ve just dreamed up overnight – this is a fact! Believe it or not, images are the first things people look out for in yours/any article. If you have nice looking images and they are compelling, your visitors tend to stay and read your article. It’s no good just slapping any old image up there, though. They need to be of high quality and relate to the content you are writing about. A nice introduction to a topic – choosing the right image to introduce your next piece of content isn’t easy, but if you can do this effectively,l it gives the reader an idea of what you’re about to talk about. Provides clarity – by inserting either a diagram or an infographic as I’ve done in this section, you provide more clarity and added explanation to get your point across. Nothing does this better than a good-looking image. No matter what platform you are writing on, you need to make sure that your content is formatted for mobile screens. If you take a look at your most recent Google Analytics, you’ll most probably see that the vast majority of the traffic coming to your website is via a mobile device. This is likely to increase dramatically over the next few months and years. Since this is the case, you need to adopt a mobile-first strategy regarding your content (this basically means, make sure it looks good on mobile). If you’re using WordPress, the vast majority of WordPress themes will ensure that your website is mobile responsive as soon as you upload and activate that theme. (This is where I get a lot of my themes for different websites). 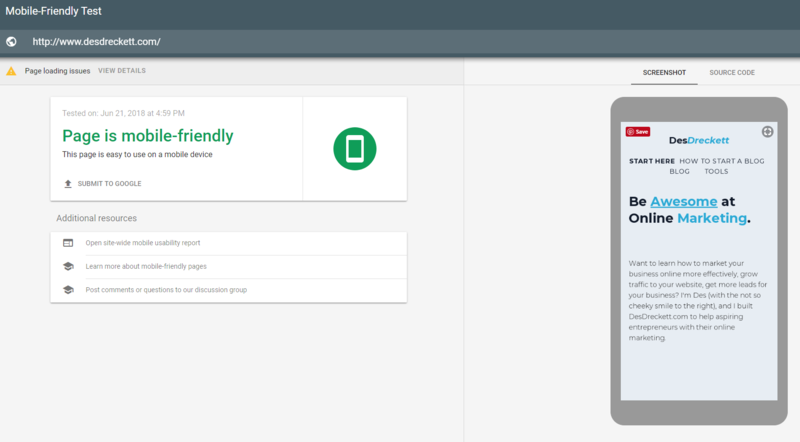 If you’re using something like Wix or Squarespace or you have an e-commerce site from the likes of Shopify, the default themes they use are already mobile responsive, so no need for you to do anything. Incidentally, if you’re unsure what your website looks like, take a look at this website: Typing your website URL into this will give an indication of what your customer sees when they come across your website for the first time. If you’re not using any of the platforms I just mentioned then there’s a little bit of work to do, I’m afraid. If you think speed isn’t important, go ahead and take a look at the bounce rate of your website on Google Analytics. Pay close attention to a particular start called the bounce rate. If this rate is high, this could be for a number of reasons: One of the most common reasons is the fact that your website takes too long to load and people don’t bother waiting around for it to so. The reason you need to pay close attention to this is the fact that Google uses this metric to determine which web pages to rank. Your page loading speed either needs to be either the same or better than the competition. Otherwise, Google won’t show your content high up in the search results which, in turn, means fewer views for your articles. This isn’t going to make bedtime reading and isn’t the most interesting of topics, but, it’s super important! Things like images, scripts and style pages all take a long time to load. An HTTP request is made for each one of these elements. You can see how many requests are made for your website by using Google Chrome and adding the developer tools plug-in. This might not be something that you can do yourself, so it’s perhaps best to hire a professional to do this for you. I would recommend using somebody from a site like Upwork who has the skills to minimise these HTTP requests. * Use a third-party host – like Dropbox, Google Drive or One Drive (who I use) to host your images instead of your blog hosting provider. * Reduce the file size of your image – by using online tools such as Resizeimage.net or Imageresize.org. This is a long and laborious task, but it is important. You can also use something called WP Smush which is a WordPress plug-in that does this for you automatically. * Enable browser caching – all the items on a webpage are stored in the Cloud – this means any time somebody comes across your webpage, it has to access this stored hard drive in the cloud and retrieve your content. If you use a caching tool, you can reduce the amount of content people need to download each time they return to your website. If you use WordPress there are several plug-ins that can do this for you, such as W3 Total Cache or WP Fastest Cache. Every time your page loads, it has to load your plugins too! So, it then makes sense to remove plug-ins that are no longer being used. If you use WordPress, you probably have plug-ins that you no longer use. Take a look at the plug-ins list to see if there any plug-ins you don’t use anymore and remove them. Note: Take caution here because you don’t want to remove a plug-in that you are still using. Getting your content read is getting harder and harder every day. As I’ve mentioned previously, your readers are now so distracted that getting and keeping their attention is no easy feat. In fact, I just wrote about this in my latest email newsletter to my subscribers. No matter what level you are at in your writing style, I would always recommend that you write for your audience instead of yourself. For this reason, you need to find out who is reading your content and who your content is intended for. Finding your buyer persona is the very least you should be doing before crafting your next piece of content. Storytelling might be quite new for you and, you know what… that’s absolutely fine. Just remember, the idea is to paint a picture for your reader and even use analogies to get your point across. This makes it easier for your reader to consume your content as well as relate to what you’re saying. Don’t forget to add your personality to your writing as well – whatever niche you’re in, there are probably 1000 more blogs and websites just like yours. What I’m trying to say is, you need to stand out! There’s no better way of doing this than to inject a little bit of your personality and have fun – if you do this, it will come across in your writing and your reader will start to enjoy your content. Please don’t underestimate how powerful a good headline/title is to any piece of content you’re writing. These days it’s ‘make or break’ on whether somebody chooses to read a piece of your content because it means they’re taking precious time out of their day to do so. This is exactly what people don’t have anymore – TIME – and so it’s your job to ensure that you hook them with the title, then do a bit of storytelling at the beginning of your article. Do me a favour, always check to see what your website, web pages and articles look like on a mobile device. This is exactly how your readers will be looking at your article, so you need to get perspective. If it doesn’t look great, you’re pretty much guaranteed to get very little engagement and, worse still, your readers won’t return to read more. I hope you found my article useful and I would love to hear any thoughts you may have or ways in which you encourage people to read your blog posts. Image credit: Main image, You’re not storytelling, You have a crappy title.